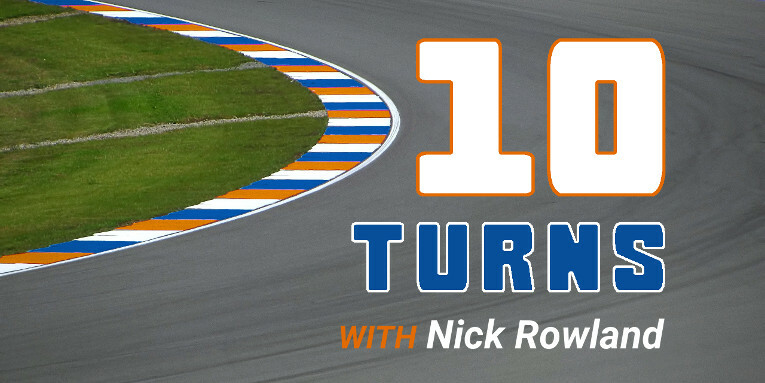 On this edition of 10 Turns, we’re talking with Nick Rowland from the Wyvern Racing P1 team. They’re coming off their best finish of their season, a fourth-place result at Suzuka. Corey Davis: Nick, well done to you and your team on that result and thanks for joining me! Nick Rowland: Great to be here, and I appreciate the kind words. It was definitely a good run for us at Suzuka, and I’m looking forward to this as well. Let’s think… 2006, I would say, and it was on the rFactor 1 platform. I was still then sort of trying to use a gamepad, or keyboard and mouse and a gamepad, before a few months later I ended up getting a G25 steering wheel. Interesting. How long were you on rFactor and when did you move over to iRacing? A long time. I was part of rFactor 1 for pretty much its entire duration until rFactor 2 really took off. I would say with iRacing, properly active only in the past maybe 3 to 4 years. Up to that point, I was purely rFactor 1 and rFactor 2. I’ve done five real-life 24-hour races in go-karts. Really? So where at and how did you do? I have done four of them at Daytona Milton Keynes here in the UK and I did one race at Daytona oval in Daytona, Florida. There is a go-kart track in the middle of the circuit and that was probably my best ever result where we came second. The rest of them have sort of been low end of the top ten. Never on the podium unfortunately here, but my first ever one in Daytona, Florida, was second place. 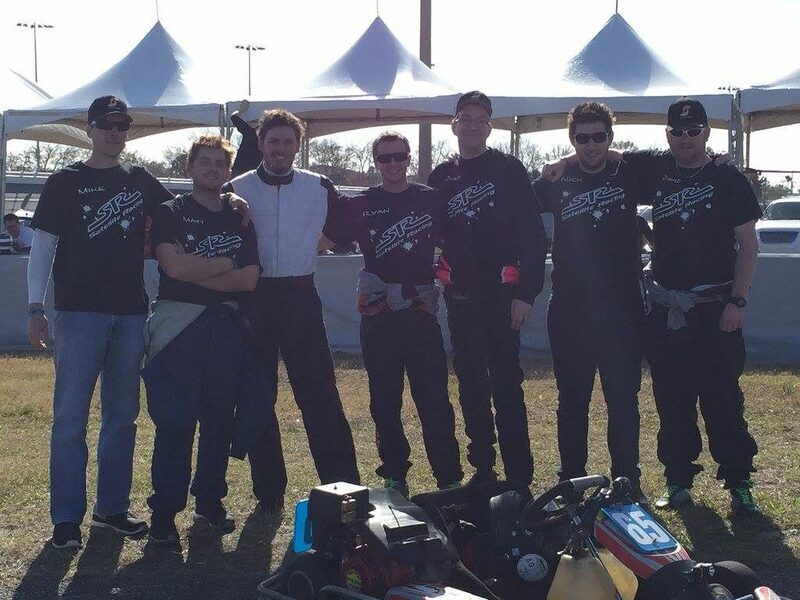 Nick (second from the right) and his karting team in Daytona, Florida. That’s awesome. I bet that was a really cool experience. It’s a very, very cool experience and you get to experience the stuff you do in the sim for real. It may only be a go-kart, but you get the same emotions. Smooth and consistent. I’ve always been pretty good over a longer run pace. I’m not as good in qualifying but I think for endurance racing, my style suits it quite well. Quite a smooth driver in terms of actual usage of the car, and pretty consistent when it comes to setting a specific lap time, especially when it comes to a P1 car. So you race the prototypes now but do you race GT cars much, and if so, does your style change with those? Style does change, but I don’t race GTs that often. The one I predominately race if I do anything else will be the Porsche Supercup. That was prior to the pro series as well. Generally speaking, it would be something like the Porsche Supercup and then maybe for the special events like we just had at Daytona, I ran the [Audi] R8. That’s the first time in quite a while I’ve actually driven the R8. The style definitely has to change. It’s usually in the braking cadence and how you have to modulate the brake. That’s usually the biggest difference I have to get used to, whereas with prototype cars — whether it be P1 or open-wheelers — then it’s slightly easier for me personally as predominantly my history has come from Formula 1-based sims. 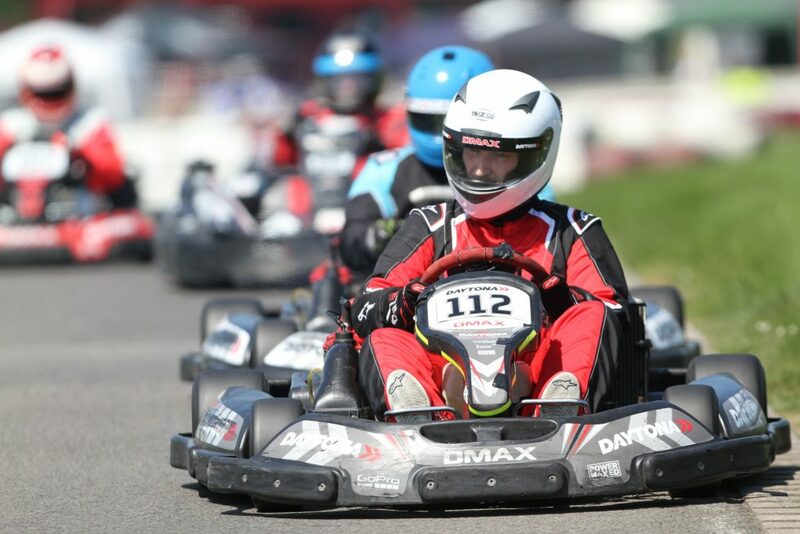 Rowland driving his kart at Daytona Milton Keynes. For me it was a personal moment in 2013 at Monza. It was the last year of the V8s in F1 and I was lucky enough to experience them at Monza. I remember walking between the second Lesmo and Ascari, and there’s a small tunnel that goes through one of the bridges on the right side of the circuit. I remember the noise and the vibration almost ripping my chest out, it was so powerful. That sounds awesome. Was that during the blown diffuser era? So you had some of those sounds probably vibrating you as well? Those sounds under braking were incredible. They were absolutely amazing. But the noise they made as they came through the tree line, underneath the bridge, and then up to Ascari — I’ve never heard or felt anything like it. Monza, haha. Heavy braking — anything that’s got heavy braking zones and slow-speed corners suits my driving style better. I guess you could think if you look at Vettel and Webber, Webber was good in high speed and Vettel was good at slow speed. My style, I’m very good at modulating the brake under heavy braking but I struggle slightly moreso with high-speed braking stability, which hinders me in GT cars. So do you think you’d be in a prototype or an open-wheeler for that race? Oh, that’s a good question. I’d probably say open-wheeler. I really like actually the new Formula [Renault] 3.5, so I’d go with that. Rowland’s winning combo? The Formula Renault 3.5 at Monza. Nothing. I don’t actually like to eat prior to racing. It’s the same with real-life racing when I’ve done karting as well. I don’t like to eat before a race. So do you wait until afterwards then for your big meal of the day? 7. What is the biggest change you expect to see in the world of sim racing within the next five years? Its growth in the eSports industry and the way it’s broadcasted and streamed, I think, will not necessarily change but I think we’ll see a large growth in that sector especially as more official organizations and official teams get involved. Absolutely, I think we’ve seen some of that especially with F1 eSports and now with the iRacing NASCAR series getting some real teams involved. Yeah absolutely, there’s without a doubt a huge growth market there that I think has only been tapped into really the two or three years, so I still think we are waiting on the true boom phase to happen. 8. Who is one current driver in NEO that’s never been your teammate, but who you’d like to run an endurance race with? Florian Krüger. I just think he’s an amazingly talented driver. Have you gotten to do any close racing directly against him this season? Haha, I wish. The guy is unbelievable. Not within NEO. In another series, when it was the Christmas 24 Hours of Le Mans that was run by a separate league, I got to race him where we had a big lead and he was chasing me down, and the amount of times I looked down and thought “how have you taken so many seconds out of me in one lap?” was quite impressive. So I think that guy is right up there as one of the very best, in my opinion, in a P1 car. 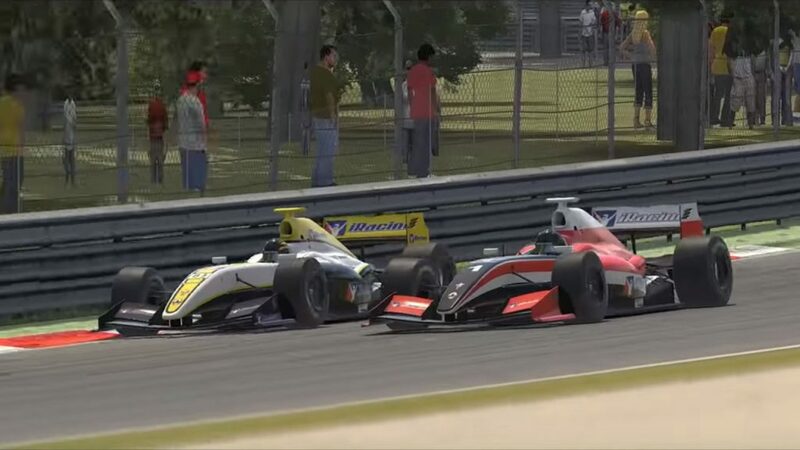 Rowland drove Wyvern’s P1 car the finish at Suzuka in fourth place. Absolutely, he’s been one of the few this season that’s been able to put Mivano sort of to their test. It would have been easy to say Mivano, probably too easy to say Mivano because of how successful they’ve been. But I think when the challenge has been taken to them, someone like Florian has really put it to them. 9. In the last interview, Lennart Fricke wanted to know what you think is the most competitive class in NEO this season. Probably GTE. I would say it’s probably the closest we’ve seen at the moment. It seems to vary from round to round. I would say generally, across the board, it would be GTE, whereas I think P2 and P1 can sometimes have large gaps, but then that has also been different each round. But I think consistency-wise, GTE. 10. Do you have a question I can ask the next person? What class will you be running in the next season of NEO? Alright, so Nick, thanks a lot for the interview. That was a lot of fun and interesting to learn more about you. And thanks to you all for listening. 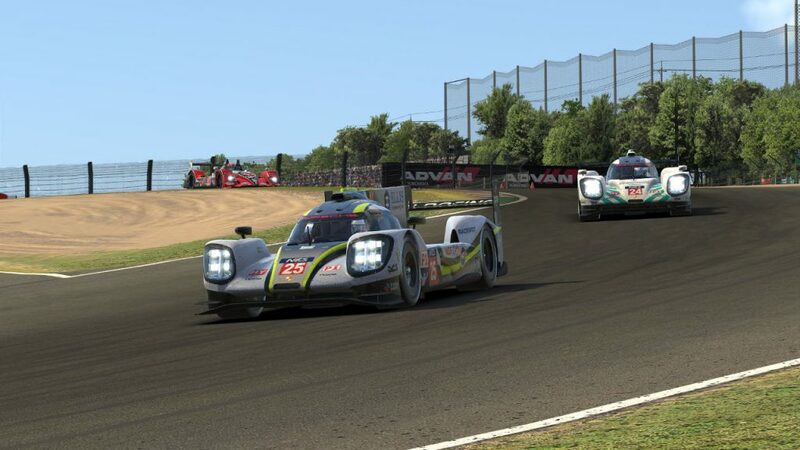 Remember that next weekend, we’ll have our full coverage of the next NEO round at Spa coming up, so stay tuned to @NEOendurance on Twitter and neo-endurance.com for the full coverage of the penultimate round of the season 5 championship.